For twenty-five years, Laura L. Mills has managed and provided a full-service litigation practice through the law firm of Mills, Mills, Fiely & Lucas. The law firm originated in Canton and provides service throughout the entire state of Ohio. Laura is a litigator and has defended multiple murder/attempted murder trials successfully. 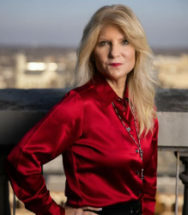 She has managed and tried multi-million dollar medical malpractice claims, business litigation matters and partnership disputes. She is a member of the Multi-Million Dollar Advocates Forum and has earned the highest possible rating in legal ability and ethical standards from the bar and judiciary. Laura is also recognized as one of America's Top 100 High Stakes Litigators. She strongly and passionately advocates for individuals, especially in the realm of social injustice. She has appeared on national television (CBS, 48 Hours, Good Morning America, Dr. Phil, Fox News,) on behalf of her clients. She has appeared in LawNewz, and provided an interview podcast for Beth Karas as well as being featured in her hometown paper for her work and commitment to domestic violence. Laura is admitted to practice in state and federal courts throughout Ohio as well as the District of Columbia. She has also tried jury trials in multiple other states and jurisdictions. Laura is President of the Stark County Academy of Trial Lawyers and she is a member of the Ohio Bar Association and Ohio Association for Justice. She is currently the co-chair for the GoStem for Girls project for the American Heart Association in Stark County. She also provides a great deal of assistance to the Domestic Violence Project, Inc. and has formed a non-profit known as Healing Through Justice to help victims of abuse navigate the legal system. She assists clients in many areas of the law such as medical malpractice, business litigation, civil rights violations, divorce, corporate litigation, contract litigation, criminal defense and estate planning.